Inside the Megalopolis: Wanna Buy a Taxi? While many U.S. malls display hot sport cars inside their stores with cute girls handing out information, our neighborhood grocery store Mega took a more practical approach. 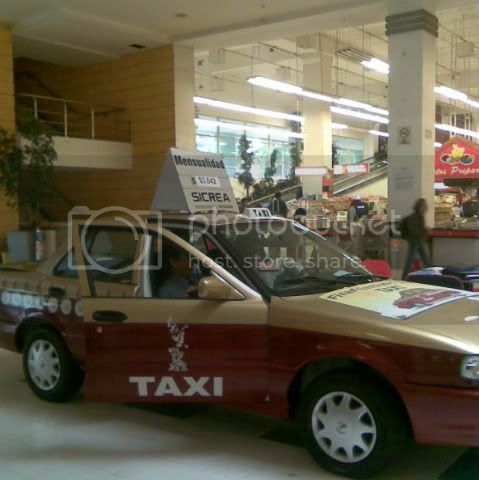 Two ordinary looking men tried to lure customers to buy a new taxi painted in the new regulation colors--gold and red. Soon all Mexico City taxis are supposed to look like this.